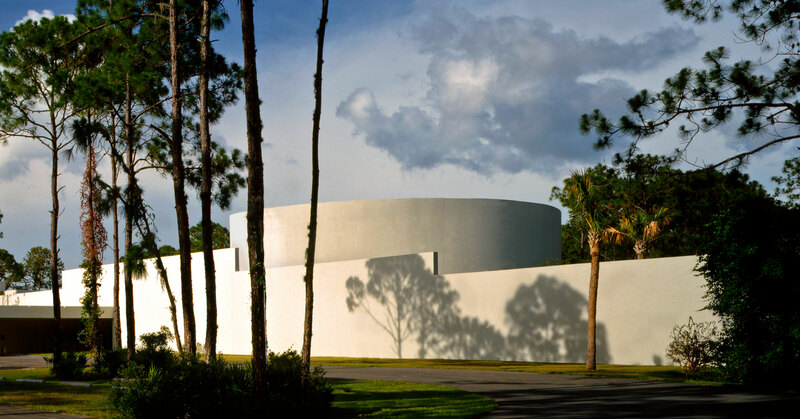 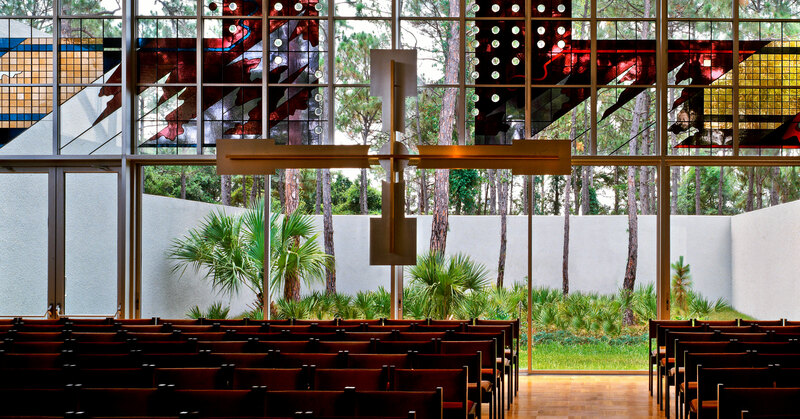 Nestled in a 20 acre pine forest is this Church with seating for 1,000 people. 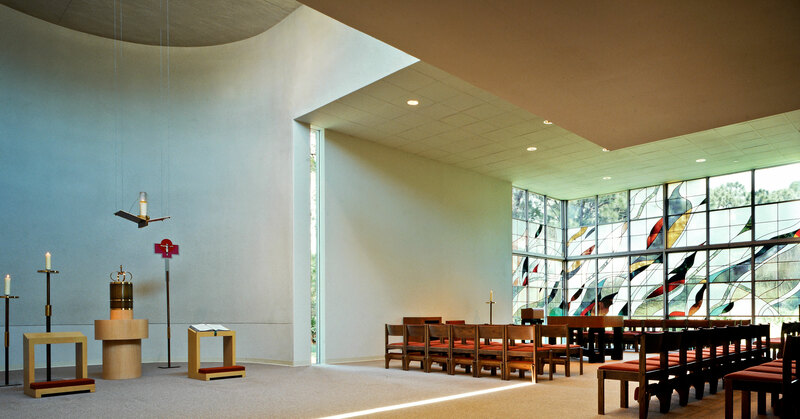 The approach is through the woods to the main entry with its strong horizontal wall, acting as anchor, replacing the traditional steeple. 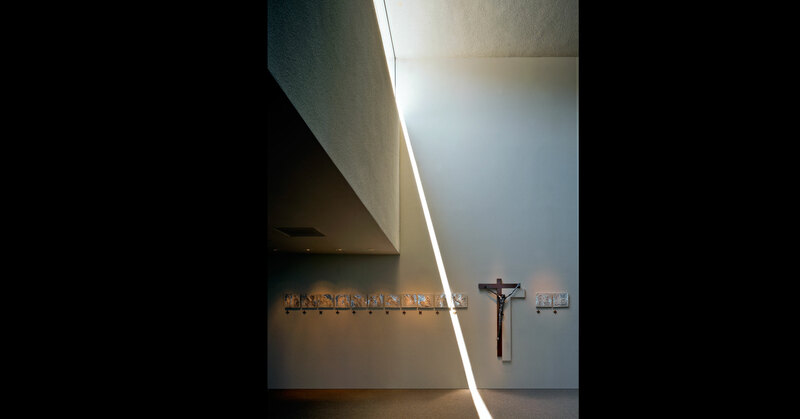 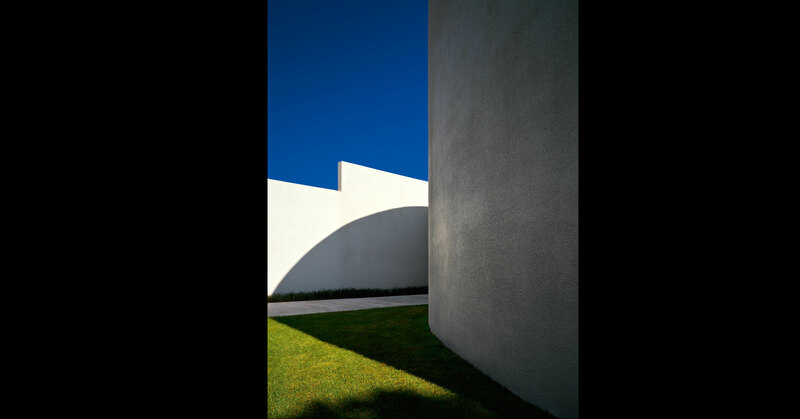 Throughout the building traditional church forms are evoked: curved apse forms, cloistered gardens, strong internal axis, treatment of light.